See what’s happening in the blockchain space around the world right now. From trending news and tech development to finance, regulations and growing use cases of blockchain technology when it happens in the world, it happens on "The Blockchain Story" first. See all sides of the story. 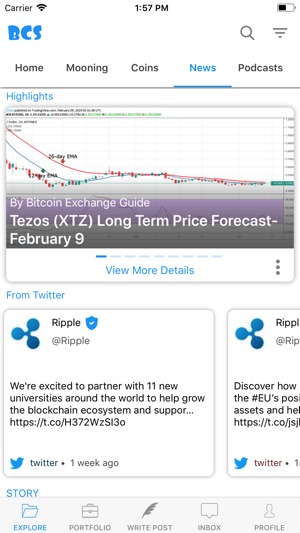 Join the conversation.The Blockchain Story is what’s happening in the blockchain world and what people are talking about right now. 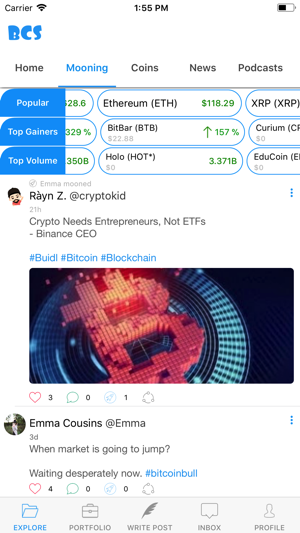 - Listen to the top voices in crypto & blockchain space. 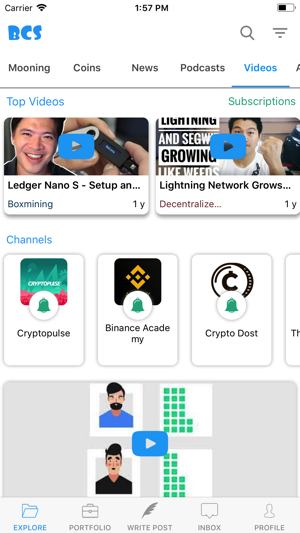 - Watch & Follow your favorite YouTube crypto channels right from BCS app. 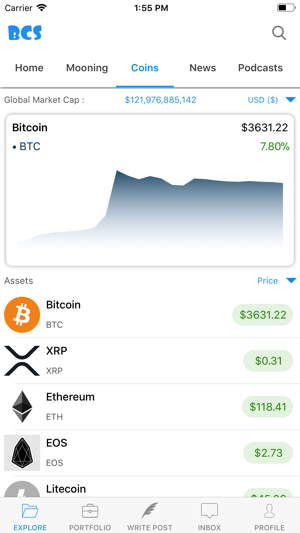 - Simply add your transactions to your crypto portfolio and keep track of your investments with real time prices. - Interact with other investors, developers and blockchain enthusiasts who are involved in growing the ecosystem. - Customize your profile with a photo, description and location. 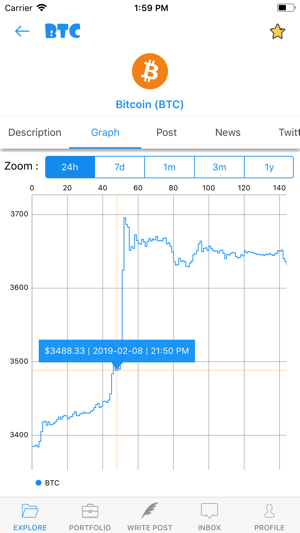 - Bot is a next generation backoffice for traders and investors. 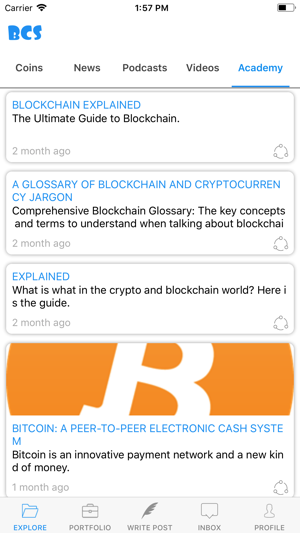 BCS is a great initiative to integrate all the information related to cryptocurrency and blockchain information at one place. 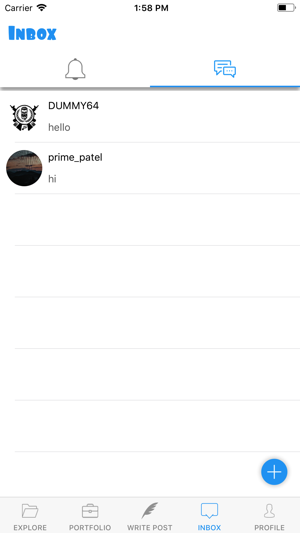 It helps in keeping myself updated about the tech in a time efficient manner. I must say this app is very impressive. 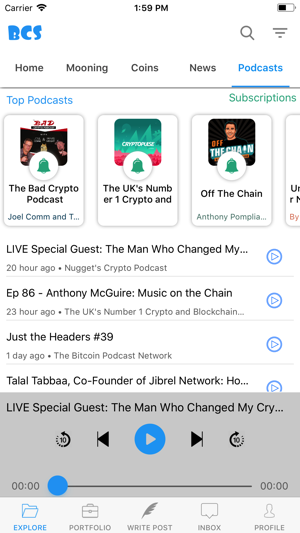 Love the podcast feature since I am a fan of podcasts. Highly recommended!